Requires the FULL version of Kontakt 5.7.1 or later. Klüsterkitt Rezonator: order and chaos in a hybrid drum designer and kit builder. Deep electronic kits paired with handmade cluster percussion, augmented with custom convolution impulses. 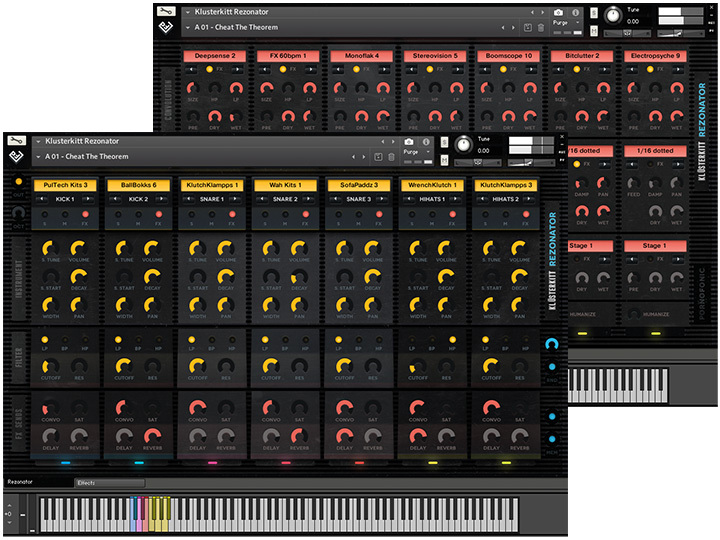 For Kontakt 5.7.1+. 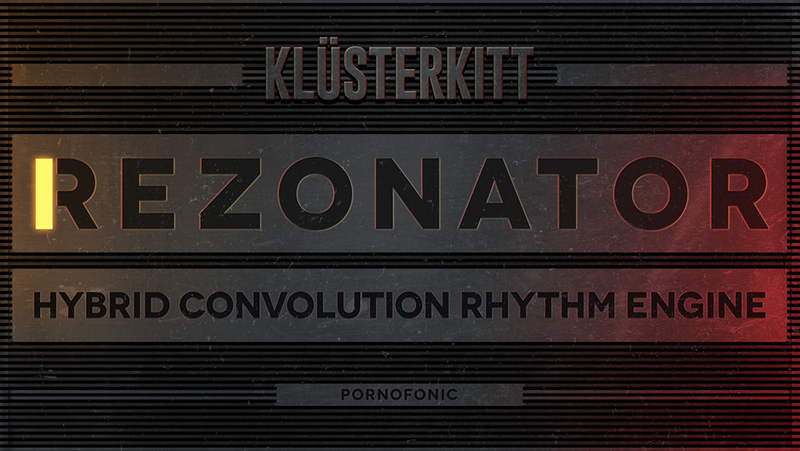 Building on the strengths of Konstruktor and Fabrikator, and keeping with the ethos of raw, unpolished percussive sound, Rezonator explores the beauty of contradiction between deep electronic kits and noisy cluster percussion, colored with convolution.